The disparity between her arguments and those of her male counterparts was particularly poignant during a recent case involving a 13-year-old girl who was strip searched by Arizona school officials looking for drugs. 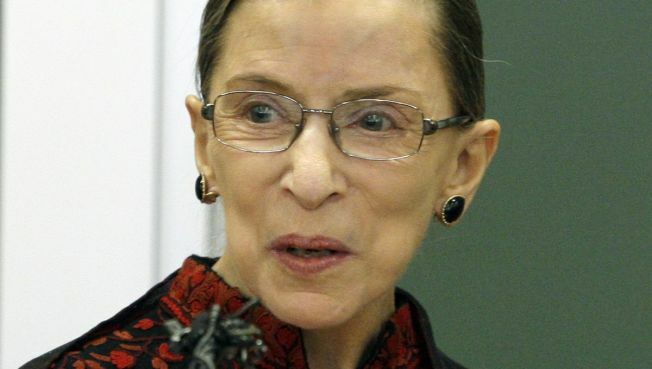 Justice Ruth Bader Ginsburg said she wants a woman nominated to the nation's highest court. "Women belong in all places where decision are made," Ginsburg toldUSAToday. "It shouldn't be that women are the exception." The lone woman on the Supreme Court said Obama should appoint a women to the highest court in an interview conducted before Justice David Souter announced his retirement -- noting her male colleagues often fail to understand a woman's point of view when arguing cases. The disparity between her arguments and those of her male counterparts was particularly poignant during a recent case involving a 13-year-old girl who was strip searched by Arizona school officials looking for drugs, she said. "They have never been a 13-year-ld girl," Ginsburg said. "It's a very sensitive age for a girl. I didn't think that my colleagues, some of them, quite understood." Ginsburg, 76, told the paper that the impact of losing Justice Sandra Day O'Conner three years ago has been significant and that the tone of arguments has changed with only one woman on the bench. Ginsburg, who was appointed to the court in 1993, undergoing chemotherapy for pancreatic cancer.